The famous race-horse Coranna. Ballinrobe Race Course have paid tribute to the Moore Family by calling one of their facilities after this famous horse. 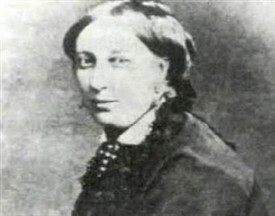 Mary Blake of Ballinafad wife of George Henry Moore. 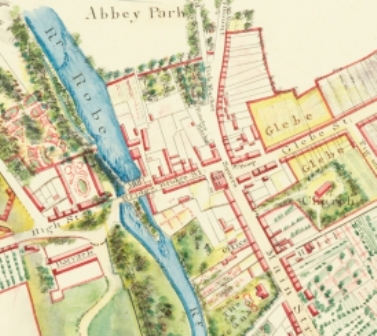 The Blakes of Ballinafad and the Blakes of Towerhill (two miles from Moore Hall) were the two most successful junior branches of one of the "Twelve Tribes of Galway," the great merchant families of the city who from the fourteenth century traded with ports in Spain and France. Built to enjoy the wonderful views over Lough Carra from Muckloon Hill, with some of Ballinrobe’s spires and towers visible in the early days, Moore Hall now stands as a stark reminder of our heritage. 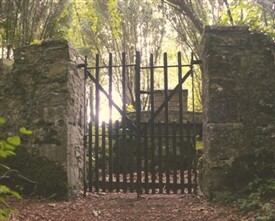 It is approximately 5 miles from Ballinrobe out the Ballyglass Road just off what was once the main Ballinrobe-Castlebar Road. 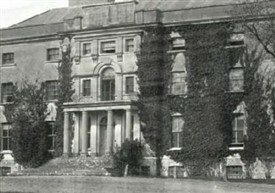 After the Penal Laws were relaxed at the end of the 18th century, the building of Moore Hall started in 1792 and was initiated by George Moore (1729-1799). It was designed by the architect John Roberts, who also designed Waterford Cathedral and was completed in 1795. Having taken an oath of allegiance to King George III, this entitled George Moore to lease land and the estate covered over a 12,000 acres. In addition to the demesne the Moore’s owned lands in nearby Ballintubber, Partry and also further north in Mayo near Ashbrook. According to Adrian Frazier in his book George Moore 1852-1933 the Moore family were originally English Protestants but some became Catholic when John Moore married Jane Lynch of the Catholic and well known Galway family. Their son, George, married Katherine de Kilikelly (Kelly), an Irish-Spanish Catholic in 1765 and earned a fortune as a wine merchant in Alicante, Spain. He was honoured by the ruling Spanish Aristocracy and invited to join the Spanish Royal Court c.1765. He also manufactured a very valuable commodity at the time – iodine and shipped seaweed from Galway for its manufacture. This was possible, as he also owned a fleet of ships which regularly came into Galway. 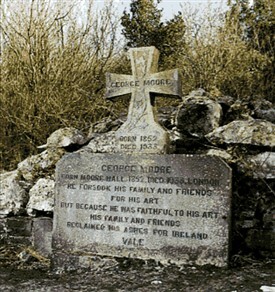 George Moore's son, John Moore was educated in France and became a lawyer in both London and Dublin. In 1798 when the rebellion began he returned to Mayo immediately. He was appointed President of the ‘Republic of Connacht’ by General Humbert, in Castlebar in 1798. It was an honour he held for one week, before he was arrested by the English forces and sentenced to death. However, Spanish influence earned him a reprieve from the gallows in spite of the efforts of Denis Browne, the Irish Chief Justice, commonly known as ('Soap the Rope') and sentence was later commuted to deportation but, John Moore died in Waterford, en route to New Geneva on Dec. 6th, 1799. 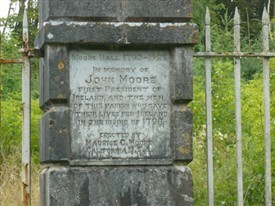 John Moore could be recognised as Ireland's first President. George Henry (1810-1870) was educated at Oscott (a Catholic school in England - its museum was founded by Augustus Welby Pugin) and at Cambridge University. From 1837 Pugin gave lectures here as Professor of Ecclesiastical Art and Architecture. George Henry had a passionate interest in horses. His brother, Arthur Augustus, was killed after a fall from 'Mickey Free' in the 1845 Aintree Grand National. 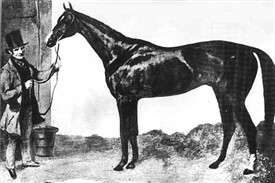 In 1846 at the height of the famine, George entered a horse called Corunna for the Chester Gold Cup. Long odds and a betting coup netted Moore large winnings with the bulk of the winnings going towards settling his gambling debts. However, he sent his mother £1,000, with instructions for its distribution, to alleviate the suffering of the poor in the area around Moore Hall. £500 was to be used for relief works with the balance to be distributed as charity to the very poorest tenants. Most of this money was used to great effect. 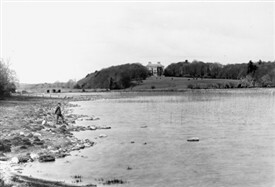 It is said that no one died on the estate during the famine and no evictions were ever recorded. He imported thousands of tons of grain to feed his tenants together with Lord Sligo and Sir R. Blosse Lynch* in June 1847. The trio helped to finance the voyage of the Martha Washington. He was subsequently elected M.P. for Mayo, heading the poll. On his death, his coffin was carried by sixteen tenants and was attended by a large number of the poor of Mayo (with few gentry attending). George Henry had died of a stroke on 19th April 1870 and was attended by Fr. Lavelle. His family asked that no public ceremonial take place and that he be buried quietly in Kiltoom on the Moore Hall estate. During his life, O'Donovan Rossa and also the future Cardinal Newman were frequent visitors to Moore Hall. Corunna won the Chester Cup this day. We win the whole £17,000. This is in fact a little fortune. It will give me the means of being very useful to the poor this season. No tenant of mine shall want for plenty of everything this year, and though I shall expect work in return for hire, I shall take care that whatever work is done shall be for the exclusive benefit of the people themselves. I also wish to give a couple of hundred in mere charity to the poorest people about me or being on my estate, so as to make them more comfortable than they are; for instance, a cow to those who want one most, or something else to those who may have a cow, but want some other article of necessary comfort; indeed I will give £500 in this way. I am sure it will be well expended, and the horses will gallop all the faster with the blessing of the poor…..
George Augustus (1852-1933) became a distinguished and noteworthy writer at the turn of the century. He was an associate of many of the French Impressionist artists (Zola as a writer) and portraits of Moore by Manet, Degas, Sir.William Orphen (1878–1931), Tonks and Yeats hang in galleries all over the world. He had wanted to be a painter, and studied art in Paris during the 1870s. He was always the centre of any artistic and cultural excitement, and enjoyed a sixty-year literary career of prolific writing as an Irish novelist, short-story writer, poet, art critic, memoirist and dramatist with many publications to his credit. Among the many literary visitors to Moore Hall were Cummins, St. John Gogarty, Osborne Lady Gregory, Russel, Hone, Martyn, Hyde, Maria Edgeworth, and W.B. Yeats. His most important works include 'Ester Waters', 'Hail and Farewell', 'The Lake', 'Confessions of a Young Man' and 'An t-Úrghort'. He is as often regarded as the first great modern Irish novelist. 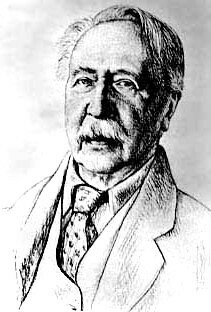 George Moore was involved with the setting up of the Abbey Theatre and The Gaelic league and is studied internationally as part of the Irish Literary Revival. Reclaimed his ashes for Ireland. 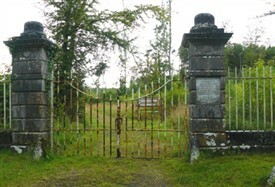 *Thomas Plunket, Bishop of Tuam, Killala and Achonry and 2nd Baron Plunket purchased part of this Lynch Blosse property in 1852. This page was added by Averil Staunton on 28/10/2011. Great site. The Manet picture is of George Moore, the writer. I have a chapter on Moorehall and George Henry Moore in 'That Irishman, the life and times of John O'Connor Power' by Jane Stanford, Part One, A New Departure. I also have a blog thatirishman.com.